This week is a pretty exciting time for the travel and tourism industry. 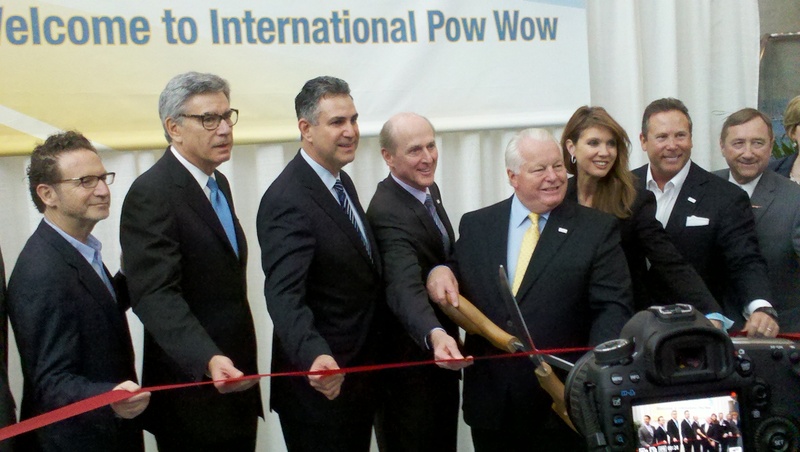 The U.S. Travel Association’s annual International Pow Wow trade show event, is taking place in Los Angeles and was the venue for Commerce Secretary John Bryson to release the 2012-2016 travel forecast. The U.S. Department of Commerce produces a semi-annual travel forecast, one in the spring to coincide with the Pow Wow event, and one in the fall to coincide with an annual travel industry marketing outlook event. Our latest forecast shows that international traveler volume to the United States is expected to build on the two consecutive visitor volume records set in 2010 and 2011 and grow at a four percent to five percent rate from 2012 through 2016. When compared to the fall 2011 forecast, the spring 2012 forecast represents a further downward revision in visitor volume growth, and the fall had been revised downward compared to the spring 2011 forecast. These revisions reflect several factors, including 2011’s solid, but below-forecast performance, and the International Monetary Fund’s revision of economic conditions for many of the U.S. top visitor origin markets. That’s the bad news. But the good news is that the forecast still projects solid growth in visitor volume over the 2012 to 2016 period…and at a level higher than the United Nations World Tourism Organization’s forecast for the world, which is between 3.5 percent and 3.8 percent annual growth over this period. The current forecast for the USA also does not yet factor in the potential impact from the Travel Promotion Act of 2009 legislation, which was signed into law in March 2010. The law established the non-profit Corporation for Travel Promotion, now known as BrandUSA, and a funding mechanism to market the USA as a premier travel destination. BrandUSA just unveiled their marketing plan at the Los Angeles Pow Wow event. Their impact on travel to the USA would be above and beyond the Department’s forecast levels. If the forecast holds true, visitor volume would grow from 62.3 million in 2011 to reach 65.4 million in 2012 and 76.6 million by 2016. This translates into total growth of 14.4 million additional visitors in 2016 compared to 2011, growth of 23% versus the 2011 level, and a compounded annual growth rate of 4.2 percent. Tourists from all world regions are forecast to grow over the five-year period, ranging from a low for the Caribbean (+9 percent), to a high for Asia (+49 percent), South America (+47 percent), and Africa (+47 percent). All but three of the top-40 visitor origin countries are forecast to grow from 2011 through 2016. Countries with the largest total growth percentages include China (+198 percent), Brazil (+70 percent), Argentina (+46 percent), Australia (+45 percent), Korea (+35 percent), and Venezuela (+35 percent). It’s important to monitor the fast-growing markets, but what matters more are the largest-growth markets. The North America world region is forecast to account for the largest proportion of the total visitor growth of 14 million visitors (42 percent). Asia (25 percent), Western Europe (11 percent), and South America (13 percent) are expected to account for the bulk of the remaining 58 percent of total growth in visitor volume forecast in 2016 compared to 2011 actual volume. The countries contributing the most to total growth by 2016 are Canada (additional 4.47 million visitors), China (2.16 additional visitors), Mexico (1.54 million additional visitors, Brazil (1.06 million additional visitors), and Australia (463 thousand additional visitors). To learn more about the spring 2012 Travel and Tourism Forecast, visit www.trade.gov. To learn more about Commerce’s efforts to increase travel to the U.S., visit www.commerce.gov.